I had a client called Yuko. Tough in action, sweet in demeanor. Big on doing, little on small talk. Those are my favorite kind of clients on expeditions. I was introduced to her and her husband, Takao, in the arrivals lounge at the Punta Arenas airport in windswept southern Chile and my interest was immediately piqued. She is in the construction business and he owns a high-end restaurant in Seattle. 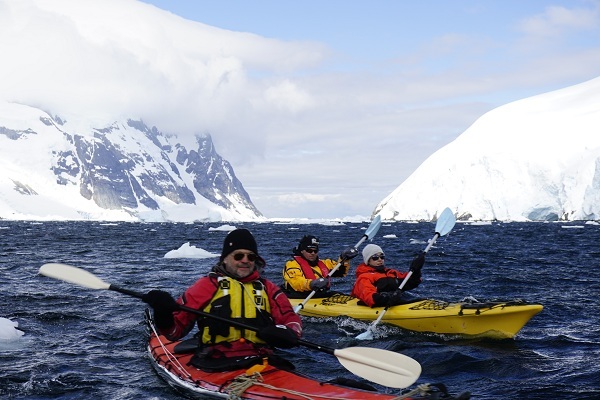 They had both signed up for NHA’s sailing and kayaking small boat expedition to the Antarctic Peninsula. This trip is not for just anyone, since it requires some perseverance to be part of a small group of serious adventurers. To be comfortable in the close quarters of a small sailing vessel, which is vulnerable to the whims of the Antarctica weather gods, was a prerequisite. 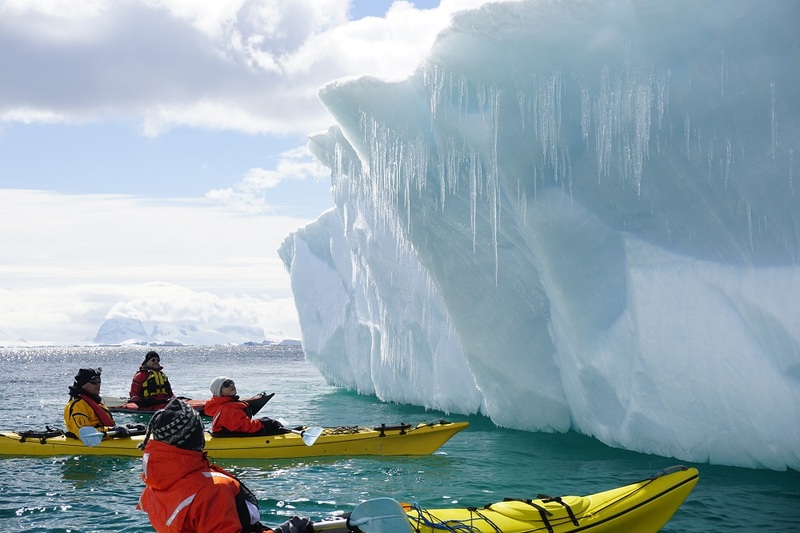 Soon after, we were zig-zagging our small sea kayaks in between huge bright-blue icebergs stranded high on the tidal flats on the north side of Charcot Island. Fantastic! Per my premonition, however, the morning’s light breeze had by now quickly developed to become powerful gusts. The sky was dark gray with the promise of snow. 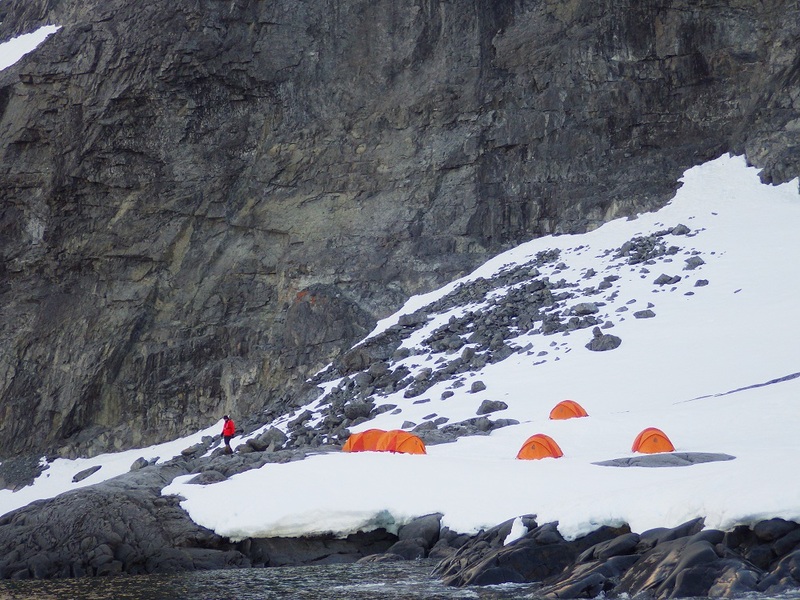 When we started to return to camp, we were already paddling into a strong headwind approaching gale force. Snowfall was thick and blowing horizontally through the cold air. This was another reminder of how quickly conditions can change in Antarctica. We immediately radioed back to our mother ship to report our situation. The response from the captain was that the ship had to let go of its four mooring lines and leave the protected cove in order not to be trapped and crushed by icebergs blown ashore. This meant we had to get back to the mother ship in open high seas. So we clicked into emergency mode, kayaked into the lee side of a cove and got the clients safe ashore in order to avoid paddling in the now-full-on storm conditions. John then took our safety Zodiac boat, which always accompanies us, around the stormy cape alone and succeeded reaching our mother ship for crew assistance. In the meantime, I schlepped the kayaks across the isthmus alone. Clients were quickly picked up safely from shore. 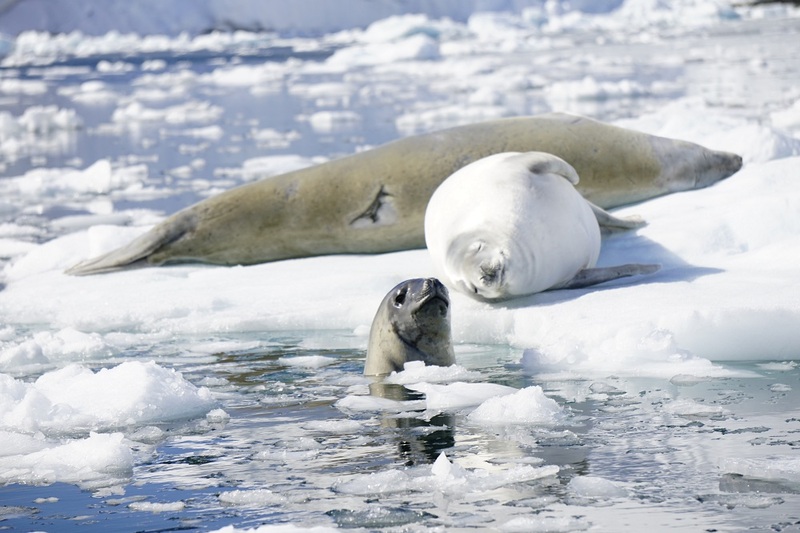 Unfortunately, we only had one of our Zodiacs available for rescuing the clients off the beach – the larger one had been punctured by a leopard seal bite the previous day. So it took a while to get all clients from the beach back onto the sailing vessel through the heavy seas – one client was even carried out through the surf on John’s back, although he was in pain from three broken ribs from a previous accident on board. But Yuko was there, steadfast and helpful in assisting the other clients as they were being ferried back to the mother ship. She was also there when we subsequently asked for volunteers to ride the Zodiac back to the camp and dismantle it in the storm. It meant some dicey Zodiac navigating, and getting swamped and doused with waves of cold sea water. The task also required persistence, hacking out the tent pegs from the ice (cold fingers!) and collecting the violently flapping tents, all while the wind gusts hammered us. It finally meant climbing down over the slippery rocks to the shore with all the gear and loading the Zodiac for the crazy joyride back to the ship. Yuko and another former client of mine, David, embraced the call to help out and fully delivered. We managed to get everything done quickly. 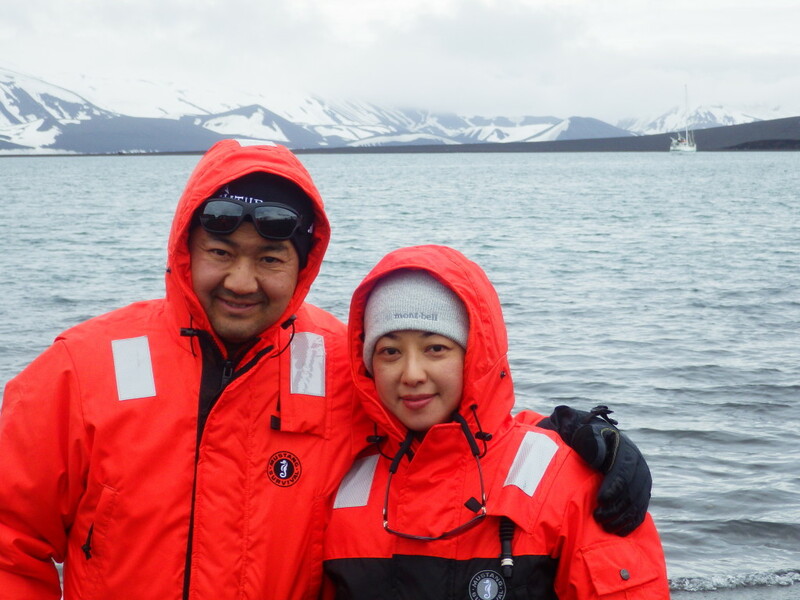 When Yuko was finally hoisted safely aboard by her husband – wet through like a seal, snow crystals melting on her cheeks and still pumped up with adrenaline – she grinned almost shyly: “That was fun.” Throughout this whole ordeal, Yuko had that quiet, self-content but focused look on her face as if she always knew what she had to do to get things done. Yes, it is the clients like her on these expeditions, which are always full of the unexpected, that make it even more worthwhile to be a Natural Habitat guide. Thanks, Yuko. 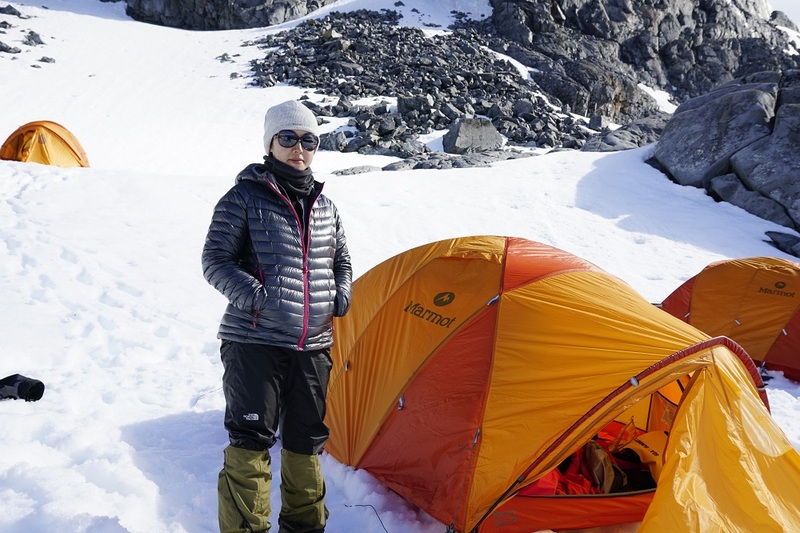 Check out some more of Yuko’s fantastic Antarctica photos! 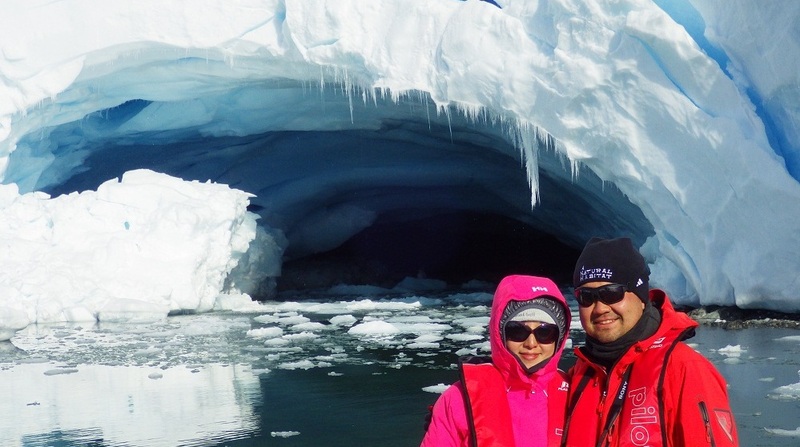 Do you have an adventurous spirit like Olaf and Yuko? 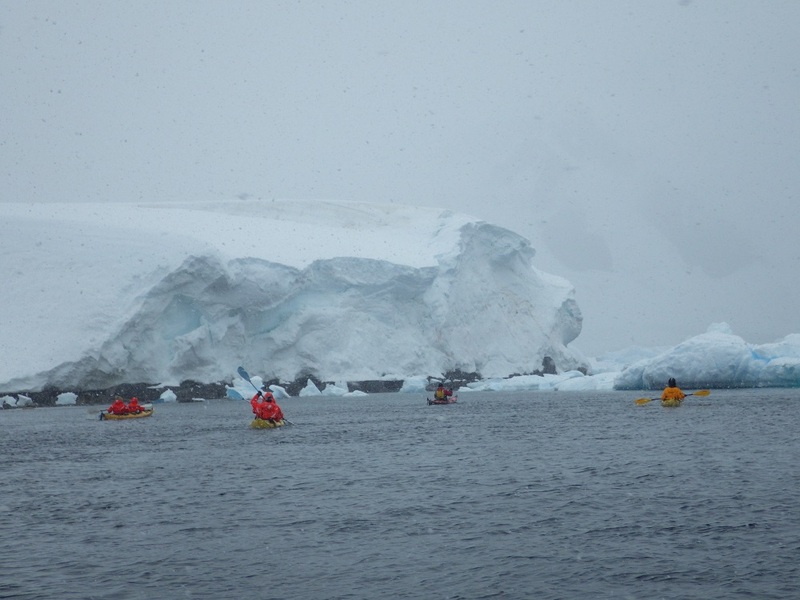 Click here to see all Antarctica expeditions offered by Natural Habitat Adventures and WWF. 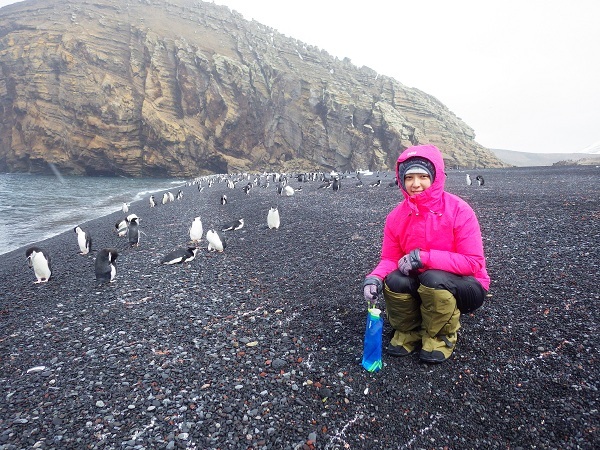 Our memory of Antarctica will remain very fresh in our life. Thank you for your hospitality and looking forward to seeing you again.